The roots of the logging industry in Algonquin Park can be traced from the early 1800’s to right up until today at the Logging Museum just inside the East Gate. 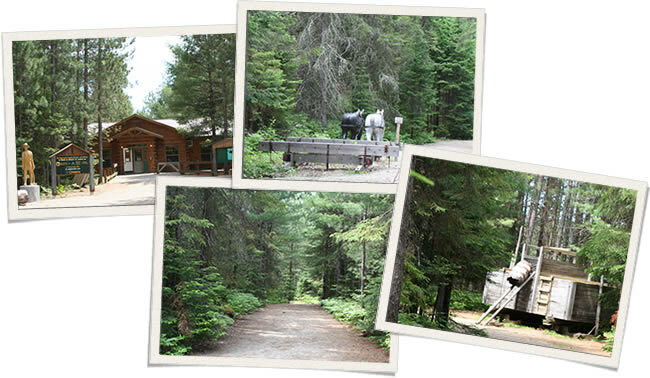 Opened in 1992, the museum offers a unique look at the past through exhibits dotted along a 1.5km trail. Pioneer loggers, pushing up from the Ottawa Valley, reached Algonquin in search of white pine. Living in remote, primitive camps, they felled and squared the giant pine, then drove them down swollen river to the Ottawa River and the outside world. One of the museum’s trademark exhibits is a steam-powered tug boat that was used to haul log booms across isolated inland lakes. The William M. is one of three surviving examples of the “alligator” tugs. With 53 species of mammals in Algonquin Park, it is no surprise that people are drawn there to catch a glimpse of a wild animal.